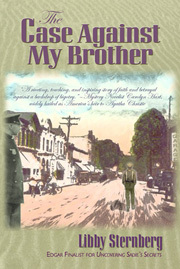 Bancroft Press - Praise for Sternberg's "The Case Against My Brother"
"The Case Against My Brother"
"As a Catholic who grew up in an older city neighborhood of mainly eastern Europeans, I found this terrific book to be both touching and highly informative." "Deals with a slice of history that few Americans know about, yet whose ramifications continue to haunt us today. The lively writing and vivid characters make history come alive." Click the button below or to purchase your book(s) by phone, call Bancrofts toll-free number at 800-637-7377. If, for some reason, no live person answers, leave your message in the Voicemail address for Ordering, and someone will respond within 24 hours.